38+ years of teaching, training, research, mentoring people including diplomats, technocrats, engineers, doctors and students. Girish Jha, MA, BS, has been teaching, mentoring, and promoting wellness for patients seeking proven results without the reliance (and costs) associated with pharmaceuticals. 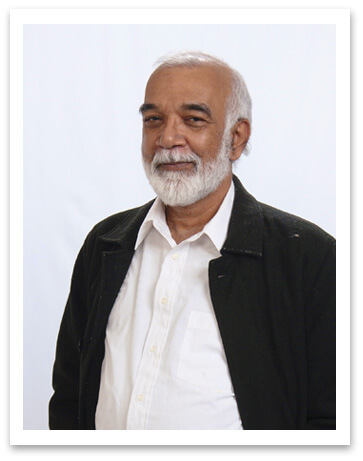 He has been offering services in the field of mind-body non-pharmaceutical, well-being and illness management programs. He has helped improve the quality of life for patients suffering from psychological disorders (ADHD, PTSD, and Anxiety) and physical disorders (including Muscular Dystrophy, various forms of cancer, and debilitating pain). His patients come from all walks of life (technologists, engineers, public servants, politicians, diplomats, teachers, adolescents and medical doctors). He guides patients to move from the state of pain to one of PEACE (which can lead to improved prosperity). Pain covers the mind, body and spirit for patients. The impact from pain can cover one or more of the following symptoms: anxiety, anger, panic, grief, chronic pain, physical pain, asthma, obesity, under achievement, family conflict, lack of self-esteem, and transsexual issues. He has studied world religions, eastern psychology, thousands of traditional practices, under the tutelage of 50 Himalayan masters, in addition to his formal education in physics, chemistry, psychology and physiology. Eastern Wisdom is 6000 years old having 3000 texts/teachers. It includes yoga, mindfulness, Ayurveda and allied sciences. It aims at discovery of subjective reality unlike science aims at discovery of objective reality. Both streams aim at truth and complement each other. Head of practices, Applied mindfulness and healthy living at Brightstems Inc.